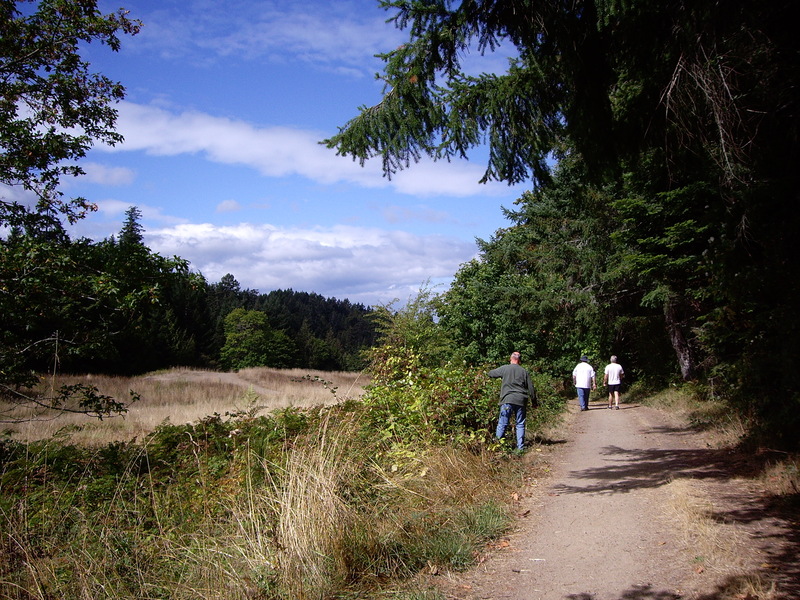 Ruckle Park is my favorite place on Salt Spring Island to take in dramatic scenery and shoreline. 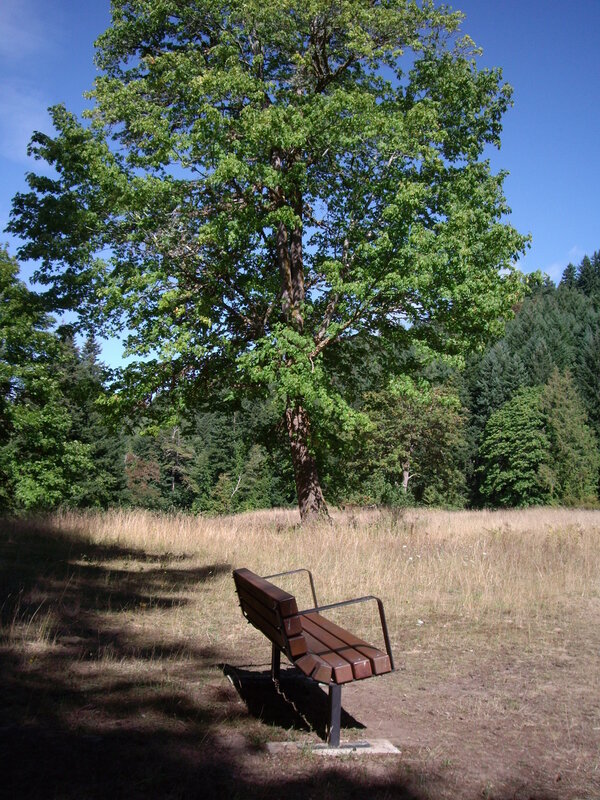 But for a restorative walk through forest and meadow, I always enjoy Duck Creek Park. 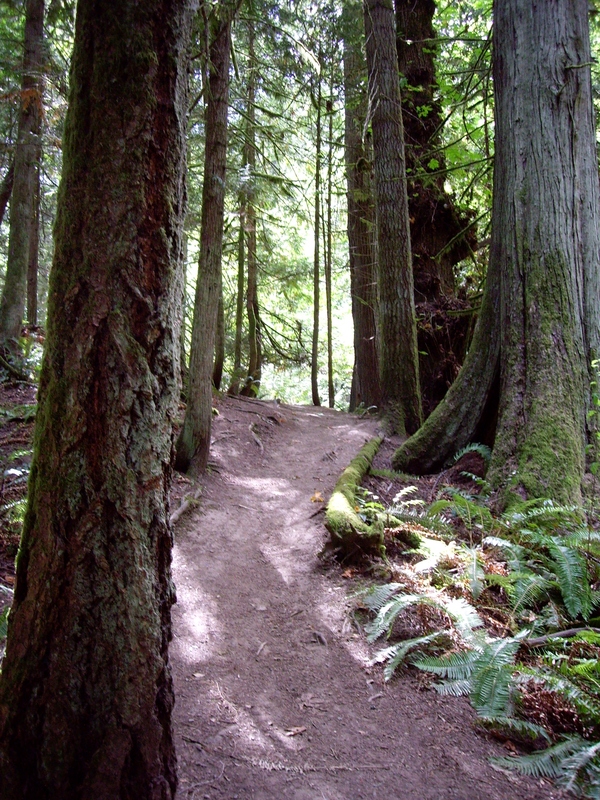 The trails are kept up nicely and allow for a short or longer easy hike. 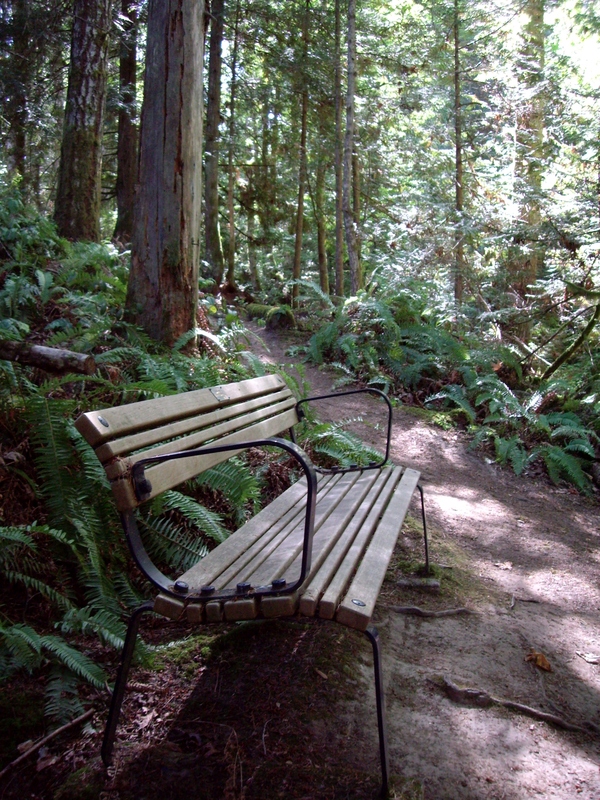 Benches donated in honor of loved ones are scattered along the trails for those who need a rest or a place to contemplate. Simon, my brother-in-law, says it’s a place that makes visitors feel as though all is right with the world. A place in the forest to rest and reflect. We pass other wanderers, most with dogs. A gentle, overweight boxer. A very happy Labrador. A border collie cross with a red bandana and a chipper jaunt. 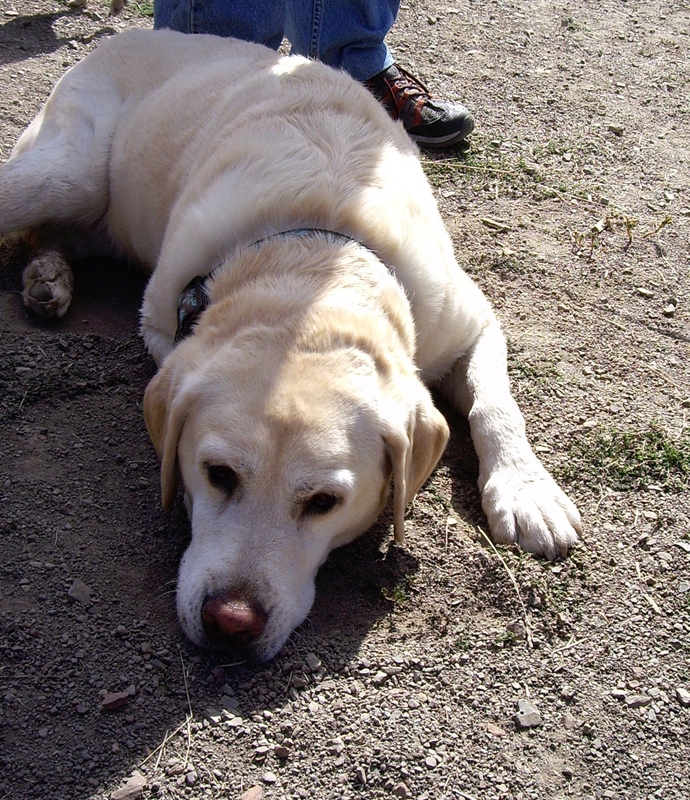 Salt Spring has the friendliest dogs ever. Most of the resident canines spend their time smiling broadly and saying howdy to everybody in dog language, which usually involves rubbing copious amounts of dog hair on nearby legs and sitting down on the feet attached to those legs while emitting large, contented doggy sighs. 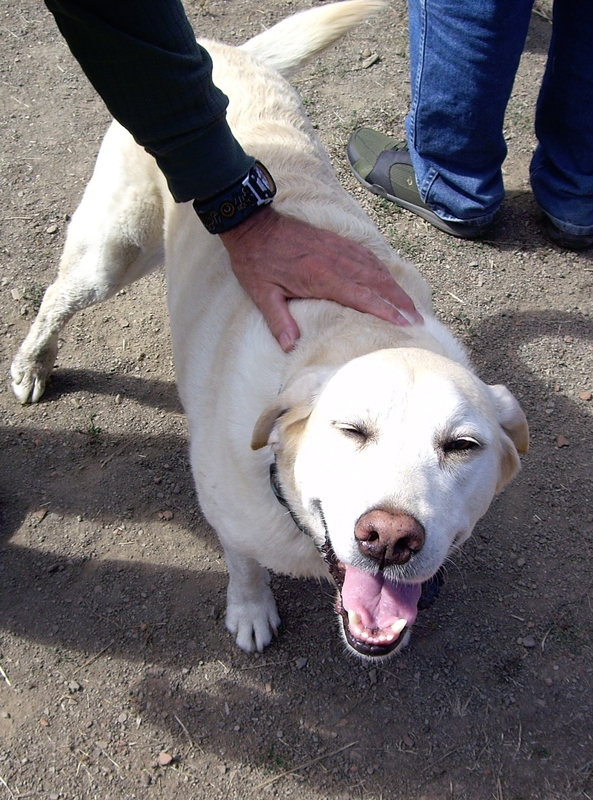 A genial welcome on the trail from a sweet Labrador. See, I told you he was smiling! Finally, she and her pack moved on. We then learned that Simon did not in fact know her. (We always assume he knows everybody on-island – it’s a pretty small place.) I kept giggling and teasing hubby. We wandered on, plucking fragrant blackberries from the side of the trail, watching dragonflies shimmer in the sun and chatting about anything brought to mind by a lovely late summer day. With so much dark news of late, it is good to feel, for a few moments, that all is right with the world. It’s hard to stop eating the blackberries – so sweet and fragrant. A place to be right with the world. In the forest, we found a gorgeous feather from a flicker – orange, black, grey and white. A small gift of beauty. Nice! Brings back fun memories if a great day. Glad to wander with you! How fun! That woman was a hoot! !